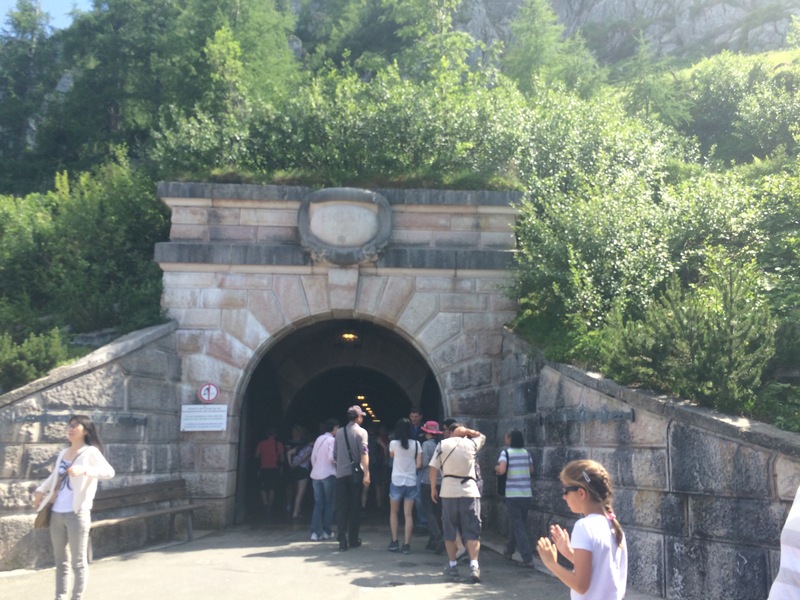 Eagle’s nest road – a unique road with a lot of history due to Hitler. A street to a mountain-top restaurant can be nice and fascinating if you include a great view but sometimes a street can be a symbol to time. In this blog we will talk about the unique street leading up to the eagle’s nest on top of the mountain Kehlstein. 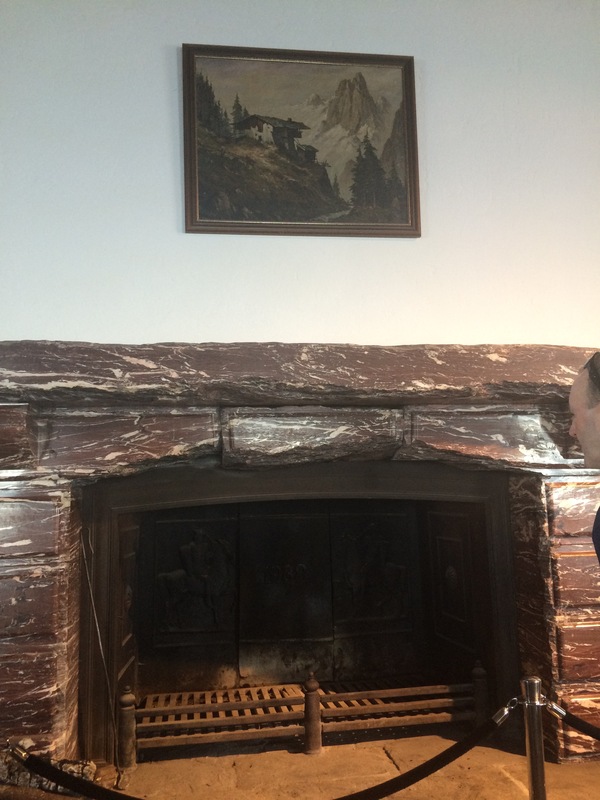 It was Hitler’s eagle’s nest a tea house in the Bavarian Alps, that as given as a present by Martin Bormann to Hitler’s 50th birthday in the year 1938. 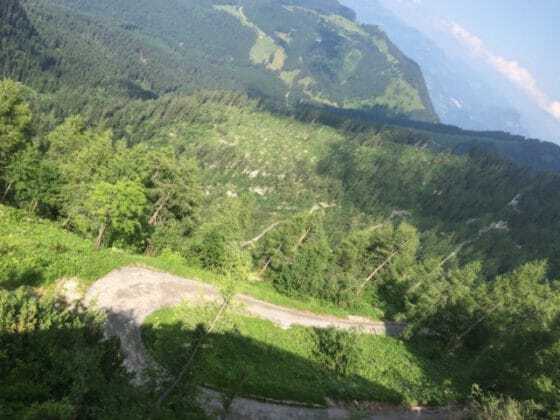 I will not tell you in the following a lot of details concerning political things and mythology behind this street and what happened in the third reich but more about this wonderful mountain road and why we can still see it and enjoy it. This road is not only a fascinating road in the mountains but it is also a symbol to this time before the second world war. In the year of 1936, Hitler wanted to expand his summer residence. Since it was not possible to finish it in time, he asked Martin Bormann to help him and that gave already the further steps to give to Bormann more rights and more power. Martin Bormann decided to make something special to Hitler since he knew that Hitler loved this area. it did not only remind Hitler to his childhood but also he knew that something special needed to be done for Hitler’s birthday for his 50th anniversary. The idea of Martin Bormann was it to build a house on the top of the Kehlstein so that Hitler could enjoy his area even better, take the views over all of the mountains of Berchtesgaden. But why building up a house on the top of the mountain with a road that is very much exposed, built with 5 tunnels and one hairpin bend and for someone that is afraid of heights? Well, simply: Hitler loved this area and since the possibility to do something for hitler was limited, therefore Martin Bormann decided to construct it on the top of the mountain because he saw hitler as being also on top of everything. Not only of the political party but also on the top of the world. This is the meaning behind the Hitler’s eagle’s nest and Martin Bormann did everything to realize his plans. He talked to investors, to financial advisors and then the final decision was made to construct it. The money came mostly from some “black accounts” (offshore accounts) because the construction of the road and the building on top the mountain costed over 156 Mio. €. But it was not only a simple construction. It was a masterpiece of engineering to construct this road and gave jobs to over 3.200 workers in the area for 13 months. Still during the construction a lot of people were happy to have a job. In the region were more than 20% of the workers unemployed, or laid off. The people in the region were happy to work at this very bold project. To build this road was not easy and very dangerous. Lots of people walked every day up to the mountain to build one small bridge, 5 tunnels and cut out the road by TNT, dynamite and hand-work. Helmets were not used very often and if it was raining it was even more dangerous to construct. Some stories tell about people being tortured to work on this road and that prisoners had to help to construct this road and the eagle’s nest. As far as documents that have been found about this road, it is proofed that prisoners were only used to help to finish the building in time and during it’s operation during the war but never during the construction. Also nobody was killed or tortured to work on this project on purpose. Unfortunately there were accidents and people died during the construction of this project but mainly due to the fact that the workers did not protect themselves. 4 people died during a truck accident (a truck slipped down driving the road up wit 4 people in it an fell down for over 300ft.). The rest were either killed by falling rocks or that they fell down. Still nowadays the road and the eagle’s nest can be visited. The road has been opened in the year 1952 to the public but immediately been regulated due to too much private cars. 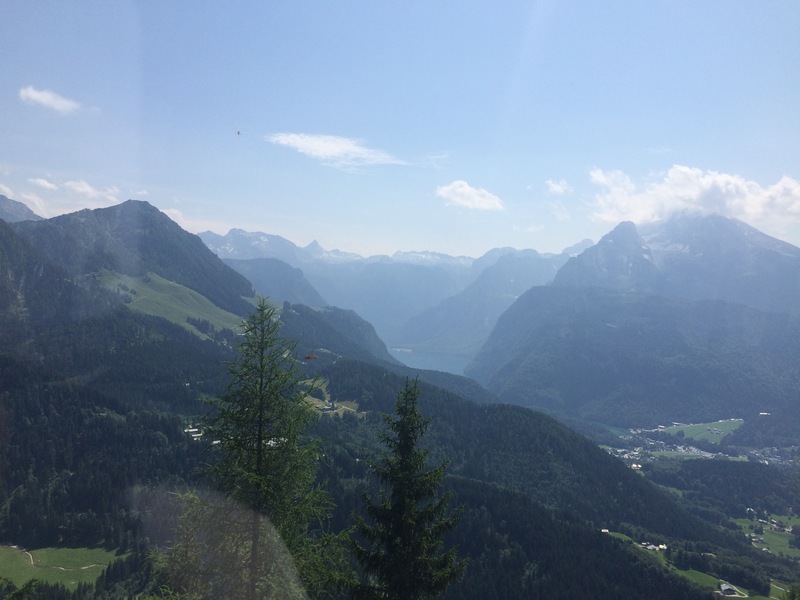 The community of Berchtesgaden contracted the local bavarian state bus company to organize public buses up to the eagle’s nest and one turn-out point was constructed to make the public transportation possible and save. The drivers are undertaking every year a special driving test and the buses are specially equipped (by a special transmission to avoid brake’s heat). Every spring and during summer time regular checks of the mountain has to be done in order to avoid rocks falling on the road. In the winter time the road is closed to a high risk of avalanches. The road is only opened to the public after all checks and clearings have been done. It is open always in the first half of the month of May until the End of October. Still even in the summer it can happen that the road has to be closed due to heavy rain, or snow and the safety for the passengers cannot be guaranteed. Drive with us up to the Eagle’s nest and learn more about this spectacular place full of stories and history. We are looking forward to meet you here in Salzburg. 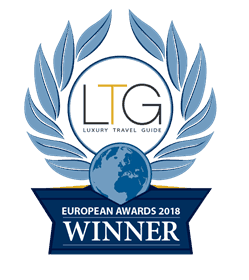 Best regards and a good travel B(e)specialtours!